Trying to go out this Halloween as one fine feline? Well, we trust that you have the catty attitude down already but you'll need to have the 'purrfect' outfit. Of course, you'll be going out as a black cat. There's no better type of cat, is there? Well, at least not around our favorite time of the year. So stock up on the all black accessories like a slender pair of elbow length gloves, some sleek go-go boots, and an adorable tail. Then you can complete your sassy new look with this devious Adult Feline Mask! You'll feel like you've got nine lives and be daring enough to risk burning through one or two when you conceal your identity with this mask. Cross everyone's path and take pride in spreading a plague of bad luck. When others make eye contact with you, they won't know whether their night is about to get a whole lot better or a whole lot worse. 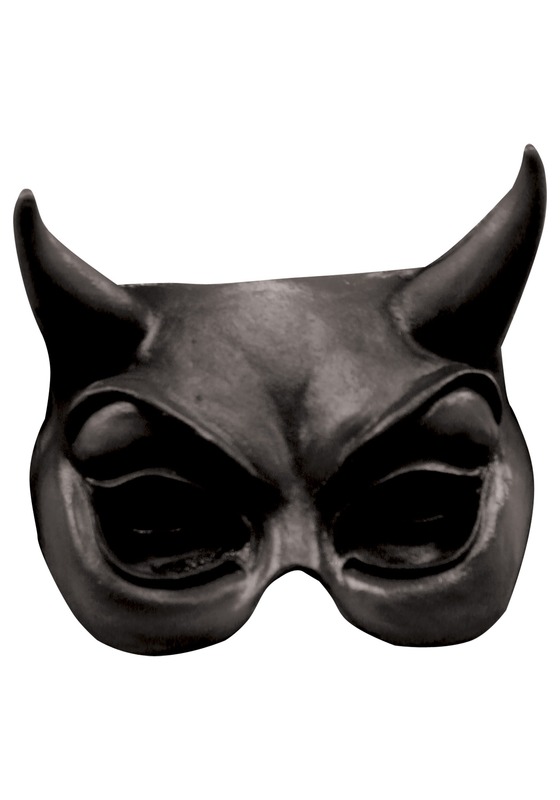 Keep everybody on their toes this Halloween when you wear this devilish Feline Mask!